Eighteen down and three F1 races to go in 2016! Fresh off the heels of the US Grand Prix, Mexico is our next port of call and another chance for Lewis Hamilton to turn up the pressure on Nico Rosberg a touch further. Shoey-in? – Daniel Ricciardo (£14m) – It would be tough to find someone that begrudges the popular Australian’s richly deserved return to form in 2016. Third in the drivers’ standings and ahead of both Sebastian Vettel and Kimi Raikkonen, Ricciardo has reasons to be smiling despite being denied a couple of genuine opportunities at race wins. His Fantasy GP performance hasn’t been lacking either; a third-best haul of 346 points with an average of 24.71 per million spent, sandwiching him between Lewis Hamilton and Nico Rosberg at a relatively bargain price of just £14m which is currently a £4m saving on Vettel for a 28-point gain. Ricciardo’s popularity amongst fantasy players has understandably been adversely affected by the Max Verstappen/Daniil Kvyat switch and the artificiality low price for the young prodigy but anyone staying loyal to the Aussie will not have been too disappointed with this campaign! Mr Mexico! – Sergio Perez (£11m) – Perez returns to home soil in 2016 looking to improve on a strong eighth-placed finish in 2015, in front of an expected sell-out partisan crowd. His season has been a strong one in the Force India, with his 84 points currently leaving him seventh in the standings and leading the field chasing the top three of Mercedes, Red Bull and Ferrari. However, his price of £11m looks to be debilitating his Fantasy GP worth, with only six other drivers achieving less than the Mexican’s 20.73 points per million spent. Sadly, despite two fantastic podiums this year, Perez is one where money can perhaps be better spent elsewhere, but he is perhaps one to watch for next year should he become better slightly better value as he remains with the Force India team. 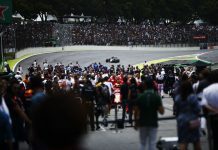 Other Tips – It was too little, too late for Nico Rosberg last year as he beat Lewis Hamilton to the top spot on the podium with a win in Mexico in 2015 following its 22-year absence from the calendar. This time around, another win might be enough to hand him the title should other results go in his favour! 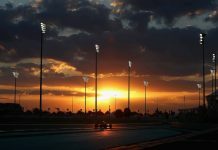 Ferrari will wish to avoid a repeat of last year’s two non-finishes, which ended a record going back nine years to 2006, as they continue to tackle the unlikely objective of reeling in Red Bull for second-place in the constructors’ championship. Weather for the race weekend is likely to be dry with some cloud cover though a risk of some afternoon showers cannot be discounted. Safety car statistics are sparse in Mexico given the fact there has only been a single race on the new circuit, however, the silver Mercedes did get a 6-lap run out last time around. It is difficult to see past another dominant Mercedes display for the race cars given the long straights but then we’ve said that before this season and reliability has thrown us a curve ball. I think many of us will be hoping for another this weekend to liven up the final two races in Brazil and Abu Dhabi. Renault is back in black for 2016!